Today, I want to share my top 10 Scentsy success tips with you, so you can make more sales, sponsor more reps, and build a large team. This information is really designed for the serious rep, who wants to make a full-time income with their business, but the information will benefit part-timers as well. What is the key to Scentsy Success? Why is it that some folks make a large income with Scentsy, while others earn little to nothing? It really boils down to three things. Those three things are skills, persistence, and work ethic. I can’t really help you with the persistence or work ethic part. That is something you have to do yourself. Instead, I want to focus on teaching you the SKILLS you need to be successful in your Scentsy business. These tips will help you learn what it takes to make money with Scentsy. They are listed in no particular order. Let’s get started. Of all the Scentsy success tips I can share with you, this one is the most important tip. Do not skip it or take it lightly. Quite perhaps the number one reason small businesses fail is because they don’t know how to generate leads. No leads means no customers. No customers means no sales. No sales means you are out of business! All sales professions have a high turnover for this one reason alone. Let’s face it, if you don’t have people to share the products or business opportunity with, you won’t be in business long. Scentsy is designed to be a warm market business, but at some point, you might run out of people in your warm market to talk to. That’s why you need to learn prospecting and marketing. Simply put, you need to know different ways to get leads. Prospecting is when you talk to people yourself. Marketing is when you use advertising and promotion to get people to contact you first. I suggest you use BOTH these methods to get leads. Take some courses about marketing and lead generation. Read some books about prospecting. Watch a webinar about how to meet people on Facebook. Pick 1-2 lead generation strategies that resonate with you and learn everything you can about those two strategies. It will be time and money well spent. Here is a post I wrote with 34 ways to get leads. This is just the tip of the iceberg to learn how to get your own leads. Most people in the network marketing industry are confused. They really don’t understand the difference between network marketing and direct sales. Direct sales is when you focus 100% of your time on selling a product. It’s about one person doing a lot. Think of the Avon® lady. On the other hand, network marketing is about a lot of people each doing a little bit. It’s about having a team of hundreds, even thousands of people all using the products, servicing a few customers and sponsoring a few distributors. Never forget that! 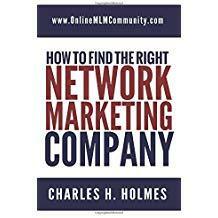 To make big money in network marketing you need to build a team. You can make a decent part-time income just retailing products, but the big money comes from having a team of people. Think of it this way for a moment. Who makes more money, the real estate agent or the real estate broker? Of course, the broker makes more money than the agent, because she is earning a small override off 50 to 100 agents’ sales, whereas the agent only makes money from their own sales. Does that make sense? Think of yourself as an independent Scentsy broker. Your job is to retail products (some) and build a team of reps who use the products and retail products themselves. If you’re trying to build a big Scentsy team, spend 80% of your business hours recruiting new reps and training your team, and the other 20% of your time retailing. I can’t speak for you, but I’d rather earn a small override (commission) off hundreds of people’s sales than just make 100% of my own sales. Hopefully, that makes sense to you. You need to adopt a million-dollar mindset toward your business. That means you need to act “as if” you have one million dollars invested in your Scentsy business. Stop thinking of it as a little hobby or part-time thing. Pretend you wrote a check for one-million dollars and you have one year to earn that income back! If you did that, I can assure you would take it seriously and have a sense or urgency. Treat this like a real business and it will pay you like a real business. Treat it like a hobby and it will be an expensive hobby! We are all creatures of habit. No matter what you currently do in your day job, you already have a daily routine. You wake up at a certain time, eat certain foods for breakfast, drive to work the same way, get off work at the same time, do similar tasks at work, go home the same time each day, watch the same television shows at night, etc. Your Scentsy business shouldn’t be any different. You need a simple daily routine you can follow. You need three to five things that you will do every single day to move your business forward, minimum five days per week. Your daily routine will be based upon your income goals and the amount of time you are committing to your business each day. Learn more about creating a daily routine here. If you own a business of any kind, you are in sales. If you are married, you are the best salesperson ever. You convinced ONE person to spend the rest of THEIR life with you. If you have kids you are in sales. Sales is quite perhaps the oldest profession in the world. It is the most important profession in our society. Without sales, nothing happens. Don’t let the word “selling” scare you. Selling is nothing more than influencing someone. It’s getting someone else to see your point of view. It’s not about hard-selling, using hype or pressure. It’s about figuring out the other person’s problems and offering a solution. Read books about selling. The best one you can read is “How I Raised Myself from Failure to Success in Selling” by Frank Bettger. That book changed my life. Order a copy on Amazon and study it. Attend training on how to sell. There are plenty of great YouTube videos you can watch, books you can read, and courses you can buy. Not only will this benefit your Scentsy business, it will make you more valuable in your day job. It will boost your confidence. There is no need to EVER reinvent the wheel. One of the best things about Scentsy, and the network marketing industry, is that you get a FREE mentor. That does not happen in any other profession that I know of. Trust me, there is someone in your upline support team who is willing and able to help you. Keep calling until you find that person. When you find someone with fruit on their tree, who is willing to coach you, humble yourself enough to follow their lead. On a side note, most of my mentors I have never met in real life. Almost all of my mentors came from books and YouTube. In today’s world, there is no excuse not to have a mentor. If you can’t find someone in your Scentsy support team to mentor you, find someone on YouTube. Every successful person in every industry, that I know of, has a mentor. You should too! This one piece of advice could make you MILLIONS. The real profits in any business comes from REPEAT sales. If people only order from you one time, you FAILED and messed up. This normally happens because most “salespeople” and “businesses” are horrible at the follow up. You need to keep a MASTER LIST of every customer, prospect and team member you ever come in contact with. You need to use an auto-responder or CRM program to stay in touch with these people a few times each month. The money is in the follow up. You also want to build up a database of all of these people and send out a monthly Scentsy newsletter. This will help generate additional sales, bookings and might even lead to new recruits. Remember this, people are bombarded with marketing messages every single day. If you don’t stay in touch with people, your competitors will. Do the little things and stay in touch. Send birthday cards, holiday cards, and handwritten notes. Do courtesy follow up calls, create a Facebook group for your customers and prospects and stay in touch, and any other creative thing you can think of. This business is a numbers game. All businesses are a numbers game. If you aren’t making exposures to new prospects daily, your Scentsy business will stagnate. As a part-timer, you should be making FIVE exposures per day. As a full-timer, you should be making 20 exposures per day. These exposures are prospects you can share the business or products with. They can be your own prospects, or you helping your team members make exposures. Keep in mind I am talking about NEW prospects, not contacting the same people over and over. This is where most people really mess up. They don’t make many exposures and then they wonder why their business won’t grow. If you are talking to five to ten people per day, you will always have someone to book a party with, sell a product too, or share the business with. Trust me. Not all activities are created equal. There is busy work and money producing activities. Most Scentsy reps spend MOST of their time on busy work and wonder why their Scentsy business doesn’t grow. Busy work is ANYTHING that does not make the cash register ring. This includes surfing the internet, spending time on Facebook, cleaning your office, organizing things, looking at catalogs, etc. Money producing activities, on the other hand are ANYTHING that puts money in your pocket. This includes retailing and recruiting. Be sure to spend 90% or more of your business hours on retailing and recruiting. Do that and you will make money and your business will grow. Don’t do it and you will be a statistic. One of my best Scentsy success tips is to work on your people skills. You have to be personable and learn how to get along with many different types of people. Remember this, people like to do business with people they like, know and trust. If you have a chip on your shoulder, lack confidence, are rude, shy, hard to get along with, or can’t stop yapping, you’re going to have to grow as a person. One book that really helped me was “How to Win Friends and Influence People” by Dale Carnegie. This book taught me tons of great people skills. Order a copy on Amazon. It will be money well spent. Learn how to be a good listener. If you are a good listener, you will be welcome wherever you go. People like good listeners because so few people do it. Most people think the key to success in Scentsy is to be a good talker. I disagree. I think it would be much wiser to learn how to ask questions and listen. Your job is to be a consultant. Think of yourself like a doctor, where you ask a lot of questions to diagnose the problem, before you offer a solution (your products or business). Here is a post I wrote covering a few things you can do to improve your people skills. These are just a few of my favorite Scentsy Success tips. Whether you want to earn $500 per month with Scentsy, or $10k per month, you can do it. It all boils down to your ability to find customers, sponsor people, build a team, and create a winning team culture. The bottom line is you must grow as a person, because your business will only grow as much as you do. What are your thoughts? Please leave a comment below to share your best Scentsy Success Tips. I look forward to hearing from you. Have a great day! Disclaimer: Scentsy is a registered trademark. I am in no way affiliated with the company, nor have I been in the past. You can visit their corporate website here. I am an Independent Scentsy Consultant and I love it! These are great tips. I’m happy for anyone to get in touch with me if they have any questions. I was going to sign up with them and sell their products but I heard some bad things about them just like Avaon. While I do love their products, I am not keen on people hounding me over working for them. Has this happened to anyone else? It is not a good way to gain people for your work force. Sorry you had that experience. There’s no need to hound anyone. I think Scentsy is a great company, but you definitely want to team up with someone who is a professional and knows what they are doing. There are 2 tips in your list Chuck that I feel are super important. The first is to have fun. If we make our business fun and enjoyable it isn’t work. Others can see the happiness and they want to have it too. Having fun is a must. The other is to use the products. When you use the products, you will have first hand knowledge how good they are. This will come to life when you tell others about the products. Great post Chuck; all network marketers could use this. Good points, Greg. Thanks for the comment. Using your own MLM products also makes your more credible. After all, why you want your customers to buy something that you would not use yourself? Agree with almost everything in this article. Only point I disagree with is to build a team 5-10 wide then concentrate on depth. The best tip I have seen on this topic is to recruit consistently (a very wide frontline is best) and train deep (4 levels deep to be precise). That advice is from some globally successful Scentsy SSDs in Canada. That is not bad advice. And I don’t suggest someone STOP sponsoring after they have five to ten wide. Just help those folks become proficient and then go find some more. As Chuck pointed out, sometimes we get so entrenched in building width that we neglect to help those we have sponsored. I believe that when you have 4 or 5, you need to work very hard with them so they can get their width built, which is building your depth. This is why so many quit is because sponsors neglect to take the time to help them build their width. After you have them going strong, you then get another 4 or 5 and repeat. I agree that building depth is key, but the person you sponsor must be coachable and willing to let you help them. Typically, you have to sponsor 20 people to find 4 who will let you help them, and one of those 20 will be pretty good. It is a numbers game. If you want to be successful with Scentsy, you need a business plan. Take the time to write up a 1-2 page business and marketing plan. Set your goals, create an action plan, and then get to work! Having a business and marketing plan is a great starting point! My best Scentsy success tip is to treat your business like a real business. Schedule time to work your business, draft up a business plan, and stay persistent for a couple years. I would have to agree with you that treating your Scentsy business like a real business is very important. Whether you have the desire to go full time with Scentsy, or just have a nice part-time income you have to SCHEDULE some time to build your business every single week. You have to be disciplined enough to at least work 5-10 hours per week on money producing activities. Otherwise, your business won’t grow. Treat it like a hobby and you will get hobby income. Treat it like a business and it will pay you like one. Just my thoughts. Be a product of the product. That is my best Scentsy success tip. Use the products so you know about what they can do and so you have a story. You need to have good product knowledge and be able to answer the questions your prospects ask you. Great tip Monique. If you want to do well selling the Scentsy products, which I think are great, you have to be a product of the product. What does this mean? I think that you should be your own best customer. You should use all/most of the products so you have your own product story that you can share with others. You also want to know the features and benefits of each product so you can explain it your customers, prospects and team members. If you don’t use the products yourself, how can you expect anyone else to buy them from you? You have to believe in what you are selling if you want to be successful with Scentsy or anything else. You are absolutely correct. If you have the scentsy candles burning and company comes, you have the perfect in to tell them about the opportunity. If you work a normal job that allows you to use products such as this at work, another perfect in. Everyone I know loves great smelling candles, so you have a enormous customer base everywhere. Now, I have myself considering joining Scentsy. Yes, using the products at home and at work is a smart move. It builds your belief and product knowledge and also is a great way to make exposures with other people. Who doesn’t love a good candle? Scentsy is a great company. And they are one of the few direct sales company that really preaches the importance of getting customers. That’s what I like about them so much. While recruiting is important, it comes second to getting customers. My wife really loves Scentsy. Glad to hear your wife likes Scentsy. I agree with you that Scentsy is one of only a few MLM Companies that really stresses the importance of getting customers. That’s one of my best success tips. So many folks are just taught to recruit, recruit, recruit. The problem with recruiting is most people aren’t interested and most who do join will quit. With customers, you will have better retention and you can be profitable right from day one. That’s why getting lots of customers is so important. In many cases, your happy customers will turn into happy reps in the future, if you treat them well and stay in touch often. If you want to make more money in Scentsy, have more parties. Instead of doing one party a week, do three or four home parties a week. Do that and your sales and profits will really increase. My best tip is to find someone in your upline who has already achieved the success you desire and then to get them to mentor you. This will save you time and money and help you build your business faster. That’s a great success tip, Abby. To succeed in Scentsy or any other direct selling company, you definitely want to partner up with someone who has experience and knows what they are doing. Start with your sponsor and keep working your way upline until you find someone at the income level you desire, who is also willing to help you. Once you have a good mentor, eat some humble pie and follow their advice. That is one of the best things you can do to take your business to the next level. My best Scentsy success tip is to find a successful sponsor. Look for someone who has already achieved success and join their team. If you have already joined the company, go upline until you find someone who has achieved the success you desire and work with them. This is a great tip, Tonya. Yes, doing more home parties is a fast and simple way to grow your business quickly. I think the best way to sell more Scentsy is to tell people how you use the different scents, so they can get an idea about how they would use them. To most people who aren’t accustomed to buying scents, the initial process might be a bit overwhelming. I think it is very important to have fun like the last tip suggested. If you are not enjoying what you do then chances are you are not giving it your all. And when you are not giving something your all you are really cheating yourself and the company. The more fun you have the more invested you will be and the less like a job it will feel. It will simply be something that you enjoy doing. Since I’ve owned a business, I’ve never worked an hour in my life. Yes, I put in 12 hour days seven days a week, and sometimes more, but I love what I do. I really get to live my passion every day and work in my pajamas at home. I think “having fun” is important in Scentsy and anything else that you do. If you follow your passions, the money will follow. If you chase the money, and you aren’t passionate about what you are doing, there’s a high likelihood that you will quit. That’s funny you mentioned working in your pajamas, Chuck, because that is exactly what the front page of my blog says about why I love writing. I do agree that you have to be passionate about your product or services to have a successful business. If you are not, everyone you come in contact with will know it, and it will hurt you. There is work to be done, sure, but have fun. I worked too many years in an office building someone else’s business to sacrifice any more of my time doing so, and that, along with the passion for what I do, provides tons of motivation to keep building my own business and to help others find success. Passion + dedication = success. These are really some great Scentsy success tips. At the end of the day you have to treat your business like a real business. You need a game plan, a marketing strategy, set business hours and the discipline and persistence to finish what you start. My best tip for Scentsy reps is to be disciplined. You have to schedule your time, create a plan, work your plan, and never quit. Success with Scentsy, or anything else in life, won’t come easy. When you love what you do you will never work a day in your life. And when you can do that in your pajamas it is even better. I too believe it is difficult or impossible to really sell a product unless you’ve tried it and believe in it. However, I don’t think you need to buy every product your company makes. If after a handful of samples you are convinced the stuff you’re selling really is superior to the alternatives on the market, hosting some event in your home and getting other people to buy the products is a much better idea. That’s a great Scentsy Success Tip, James. I agree that you don’t need to try EVERY single product, but you should try a bunch, so you know your stuff and know what you are talking about. The idea of opening up your home and hosting a party is a great way to get started. That’s what a lot of successful Scentsy reps teach: home parties. This is a proven way of building a business and I can speak from personal experience and tell you that it works. I joined Scentsy three months ago. I’ve already made over $3k profit with Scentsy so far. The products are priced right and are very easy to sell. I’ve been with other direct sales companies before, but this is the first time I’ve ever achieved any type of success. Good job, Martha. Keep up the good work!